Halifax, NS – 16 October 2018 – DHX Media (or the “Company”) (TSX: DHX, NASDAQ: DHXM), a global children’s content and brands company, and Mattel, are pleased to announce that the new animated children’s series, Polly Pocket, has been picked up by 16 broadcasters internationally. Based on the celebrated Mattel toy brand, the new Polly Pocket series follows Polly and her friends as they embrace big adventures in a shrunken size, thanks to Polly’s magic locket. 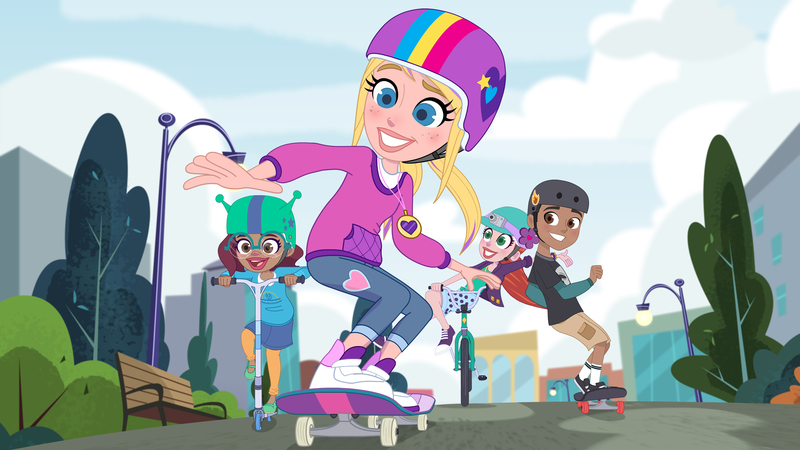 Polly Pocket premiered in Canada in July, on DHX Media’s own Family Channel and Family Jr, and will roll-out globally throughout late 2018 and into 2019. This press release contains “forward-looking statements” under applicable securities laws with respect to DHX Media including, without limitation, statements regarding the expected timing for broadcast of Polly Pocket and the expected consumer response to such program. Although DHX Media believes that the expectations reflected in such forward-looking statements are reasonable, such statements involve risks and uncertainties and are based on information currently available to the DHX Media. Actual results or events may differ materially from those expressed or implied by such forward-looking statements. Factors that could cause actual results or events to differ materially from current expectations, among other things, include risk related to consumer preferences, the ability of DHX Media to execute on licensing arrangements and other factors discussed in materials filed with applicable securities regulatory authorities from time to time including matters discussed under “Risk Factors” in DHX Media’s most recent Annual Information Form and annual Management Discussion and Analysis, which also form part of DHX Media’s annual report on Form 40-F filed with the U.S. Securities and Exchange Commission. These forward-looking statements are made as of the date hereof, and DHX Media assumes no obligation to update or revise them to reflect new events or circumstances, except as required by law.